Hello! I'm new to this forum and basically want to introduce myself. I have a 2001 Mazda Miata Jasper Conran Edition (214/400) and it's from the UK, so I have a right hand drive car in Zagreb. Since I moved it here three years ago, it's been slowly falling apart for some reason and it started rusting, so I had to replace all the body panels and still have to replace the front left fender. I did this once before somewhere behind Dubrava and they didn't align anything right. Zoom Zoom sold me the wrong fender without the lip, so I had to buy everything again anyways. With recommendations, I went to a few mechanics who screwed up my car to the point that my engine seized and I had to replace the entire engine! So I finally went to Mazda Arbanas to get all my work done now. I know how to do everything, but I don't have tools and a lift (too expensive to buy these things, but I should considering I spent so much money on redoing things 3-4 times). For example, a mechanic in Dugave told me to replace my wheel bearing and it failed 5 times and I gave up on him and sent it to Arbanas and it works now. Even then, Mazda replaced the rear wheel hub with a FRONT wheel hub. So these are my experiences in Croatia. I also got sold a rebuilt wheel that broke, so I have three wheels extra ([b]if anybody wants to sell me just one, please contact me[/b]). I don't want to buy another set. My engine is overheating, but that's because I never had a heat shield. In the UK, it wasn't a problem, but it is hot here in the summer. So I want to move my air filter to the left "cold" side. 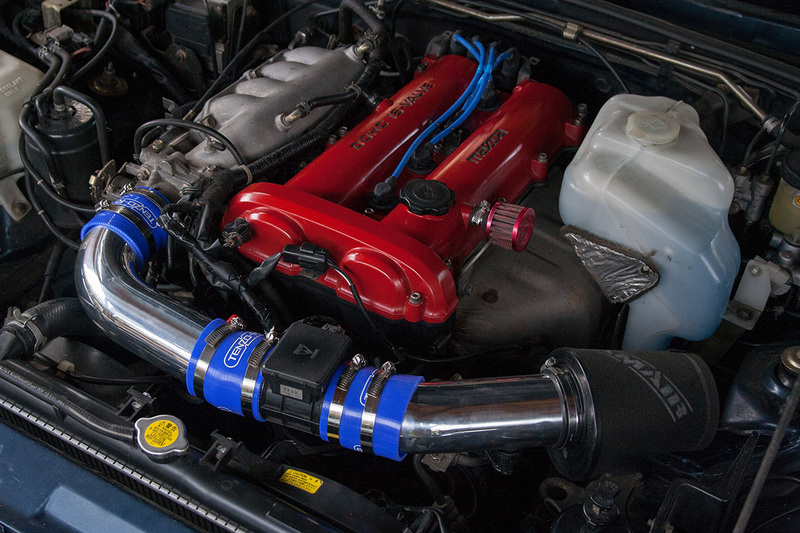 [b] If anybody knows where I can make or buy in intake hose and a small breather filter, please contact me. 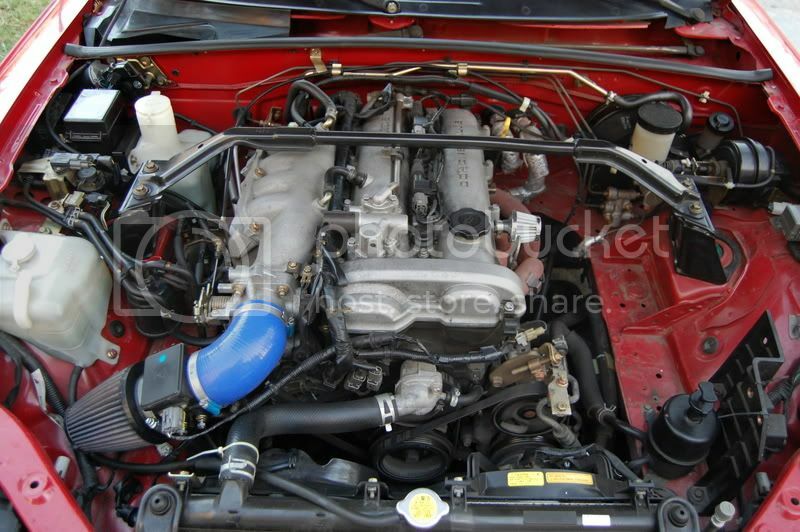 [/b] I don't want to cut mine and "ghetto-fy" the intake. I want to make it like this (see picture). I'll add up pictures of my car soon. I think we meet at carwash few week ago. Also i know that one guy in Jazbina, Auto Jazbina is importing Mx-5s for parts from Uk. Maybe you can try there. Regarding zoom zoom only good exp there. Last edited by Inkspot on 11.04.17. 21:43, edited 1 time in total. Zoom zoom: yes, I know the lady. She is nice and friendly and gives me eBay prices. I bought the engine from Jazbina, but they don't have aftermarket parts. My name is Yeop Azman. Did I pass you on the highway also? It was a red miata with roll over head guards, so I think it was you. Nope, I mistake you with one other guy but also with RHD. If you need parts from Zoom zoom contact me. Owner is my friend and he is giving special prices for our mx-5 club. Update. I just saw your fb profile. It was you. [quote="Inkspot"]Nope, I mistake you with one other guy but also with RHD. Yeah. I have the only RHD Miata in Croatia. And for all mehanical issues you can turn to automehanicar.hr in Zaprude. [quote="Inkspot"]And for all mehanical issues you can turn to automehanicar.hr in Zaprude. Thank you for the information. I have been sending the car to Arbanas for the "big" jobs. I do the small maintenance myself in the parking lot :) I still have to paint the underside to protect from rust, because Croatia puts a LOT of salt and I even wash the car after every drive. I work in SMZ, so I have to drive 100+ km to get to work and use a lot of it. I hope that when my new job starts in Zagreb, I will use the car less and more for pleasure drives. I have the ELM 327 ODB II bluetooth diagnostic dongle if anybody wants it. *FREE* I bought it and realized that UK/EU didn't require ODB II until 2002. US required it from 1995, which makes diagnostics easier. I had an intake similar to the one you posted the link for. And some people are saying factory setup is still the best, although not that good sounding, which I'm about to try for myself very soon. For the rest of your horror story, I can only admire your patience and temper dealing with these people. So I want to give this a shot before trying to find a heat shield and putting it back on. I removed it because it was rusted ---> cracked for some reason (too much shaking? I replaced the engine mounts at Arbanas and now it's better). Either way, I want to solve this overheating issue before summer. I can only drive under 4000 rpm. By the way, where did you get your breather filter? I can't find it anywhere. Thank you! I want to try this cold side first before returning to stock if it doesn't work. :) I will ghetto-fy it with stuff from Pevec and if it "works", I'll do it properly with a better filter that doesn't create turbulence (I am still researching) for the MAF, so that it gives proper readings to the engine, so it can be stock-tuned. 5. Chicken bones and turska kava cup readings from some old baka. Europe is always expensive. If I have to order and wait, I might as well China it directly since it is all made there or USA it... Trying to find it in Croatia, so I can fix this problem ASAP. how come you ended up here in Croatia?